We supply commercial and domestic tanks from 2 million to 40 million litres or more. When you’ve been building tanks for as long as we have, it’s not a job anymore, it’s a passion. 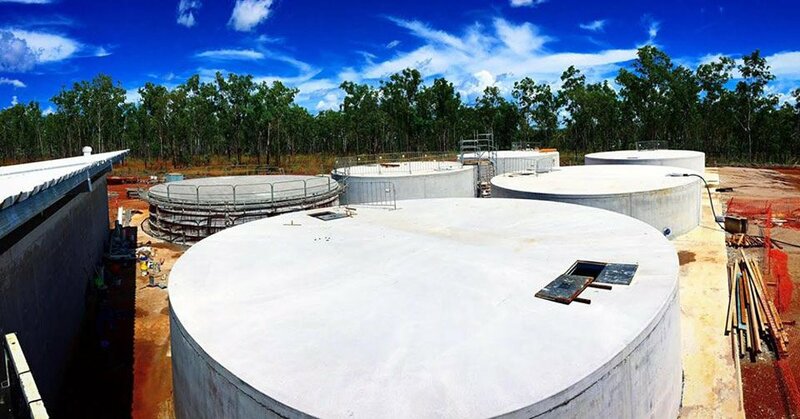 At Bega tanks, we take great pride in our work – and leave no stone unturned to give our clients a product that is as durable and tough as the materials we use are. They are longer lasting and more durable than plastic tanks are. Not only this, concrete walls provide water with excellent insulation. This keeps your water cool. It also allows algae and bacteria to flourish – which enrich your water giving you an excellent all-year-round supply of it. We build our tanks to last. We build our tanks to be strong. Durable. Tough. And give them guarantees that could be for 50 – even 80 years. Our tanks will not rust, melt or cave in on you. Fire-resistant, they are just what the doctor ordered. A fresh water supply that’s full of freshwater algae that helps you grow – your garden too. Water is life. The more we store and recycle it, the more we have spare for farmers who can use it to grow crops and ensure they have enough water to water them. When it rains, water is pure. But as it hits our roofs and tiles, water picks up dust and other chemical contaminants and puts these into the Earth and the thousands of fresh water supply systems that lie concealed beneath it. This contaminates our lakes, dams and reservoirs, and ultimately, us. As civil engineers, we’ve been building water tanks at Bega Tanks for decades. We’ve undertaken many large infrastructure based projects that smaller companies simply don’t have the engineering knowledge, experience or skill they need to take on with confidence. Currently, we are building a Concrete Storage Solution for Bathurst Jail which will store millions of litres of fresh water in it. If you would like to visit us onsite at this project or have us send snapshots of it to you, please call us on 1800 241 246 or email us your enquiry using the form provided and we’ll get straight back to you at the end of our work day!